My science fiction novella, The Girl in the City, is now available for pre-order from Amazon (Amazon US, Amazon UK). With the oppressive Transport Authority controlling every aspect of their existence, Leah and her father do what they can to carve a good life for themselves. Leah spends her nights scavenging in the rural zone around the City, risking capture by the Wild Ones as she hunts for salvage her father can trade for food and other essentials. But when Leah takes a bag of salvage from a dying stranger, she and her father are drawn into the world of Transport and its war against the terrorist organization, TRACE. A war that could cost them both their lives. I’m really pleased with how it’s turned out. 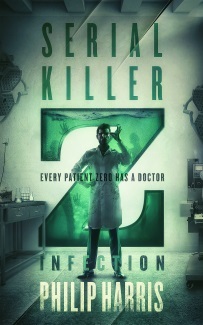 I got the final formatted ebook this weekend and Polgarus Studio did a great job. 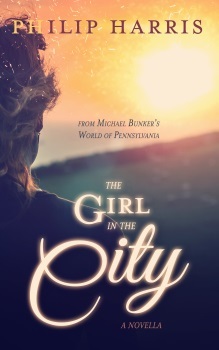 The Girl in the City is set in the world of Michael Bunker’s Pennsylvania, and I’ve continued Michael’s tradition of including illustrations by Ben Adams in the Pennsylvania books. Ben created three fantastic images for The Girl in the City (TGITC?) – check back next Monday for a look at them. The Girl in the City will be released on Kindle on February 2nd, 2015 but you can Pre-order it now from Amazon for the ridiculously low price of 99c (or the equivalent in non-US stores).